Originally published in 1983, U.S. 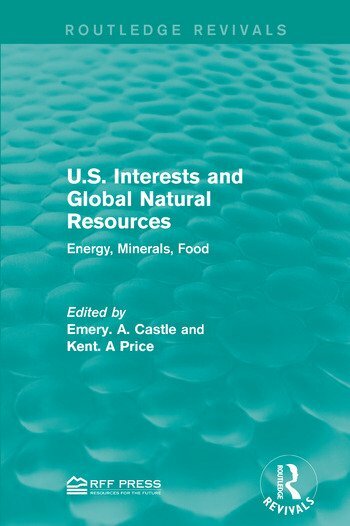 Interests and Global Natural Resources explores the links between foreign policy and the global distribution of natural resources paying particular attention to the U.S. This collection of essays delves into the importance of factors such as differing economic development and political hostility could have on the provision of resources into the U.S and advises that nations identify their countries needs and establish policies to safeguard them. This title will be of interest to students of Environmental Studies and Policy makers.